We're Envisioning New Worlds and Honoring a Legendary Writer. Join Us. Calling All Visionary Artists! Deadline: December 31, 2015. “Octavia’s Attic: ARTifacts From Our Possible Futures,” a curated art exhibition, seeks submissions and proposals from creators in the San Francisco Bay Area and elsewhere on the theme “Predictions of the Past, Memories of the Future." 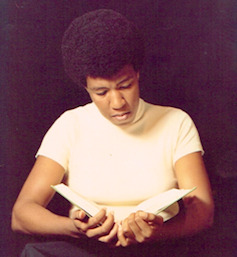 The show is set to open in late February 2016 to coincide with national celebrations honoring the visionary writer Octavia Butler, author of the time-traveling classic “Kindred.” It will feature 2D art, sculptures, and video as well as poetry, song, and other live performances from emerging and established creators. Some of the more established contributors committed to participating in the show have already displayed their works around the world and been featured in major institutions like San Francisco’s Yerba Buena Center for the Arts and New York’s Museum of Modern Art. Performers have appeared on national TV networks and in major theater productions. We are open to objects of any media and short performances of any kind as long as they can reasonably be displayed or carried out in our medium-size gallery. We look forward to hearing from you. Another world is possible. Let’s envision what it could look like and show the world through art. Deadline: December 31, 2015. Send links, ideas, and questions to submit@octaviasattic.com. Submissions from LGBTQ folks and people of color are strongly encouraged. If you like, you can apply here to have your work in the exhibition. You can also just email us, particularly if you need to send image/video/audio files. Got any links to your art? Or published reviews of your work? Tell us about yourself, your work, and what you would like to submit to the show. We would love to see your art. Submit links and proposals here.